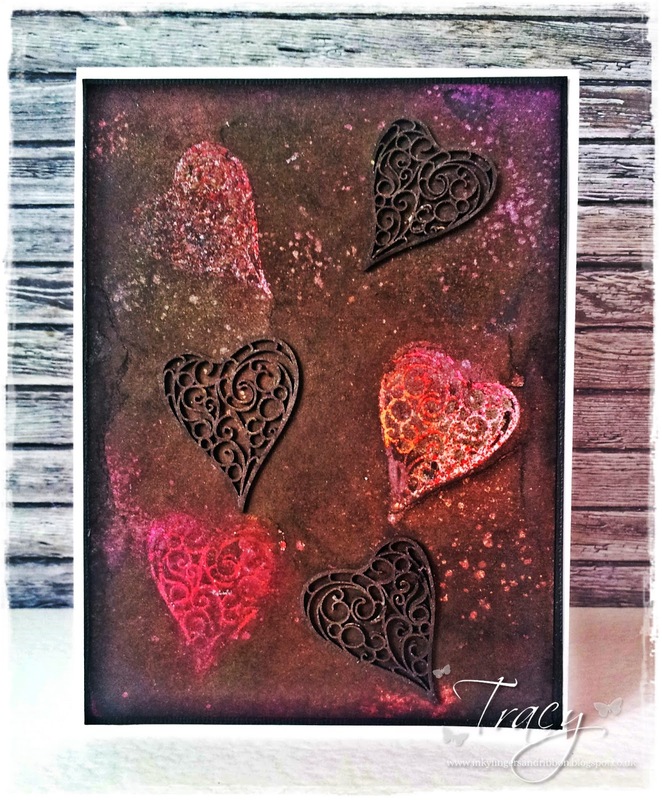 This time i went for something slightly different and created a coloured base and then stuck the Filigree Heart Accents over the background and sprayed over the card using Black Dylusions and some mica spray. 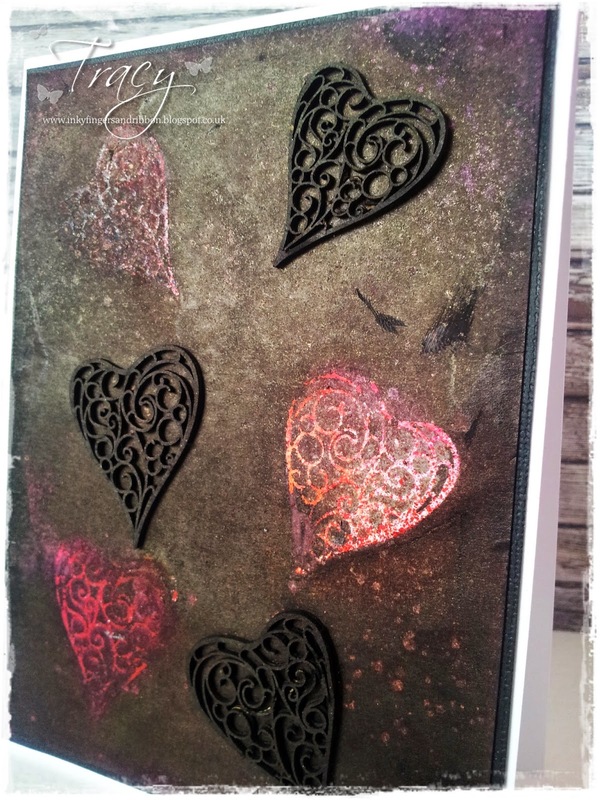 I then used the Filigree hearts and arranged them on the card. This picture shows the sheen from the mica. Once it was all dry i mounted it onto some black Core'dinations and then onto a card blank.